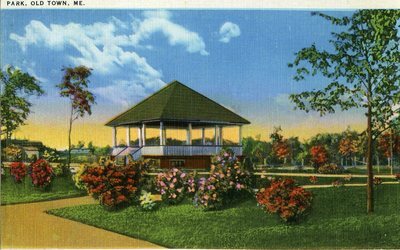 "Old Town, Maine Park Postcard "
An image scanned from a postcard of a gazebo in a park in Old Town, Maine. Pink and red flowers add to the landscaping. The postcard is not dated.